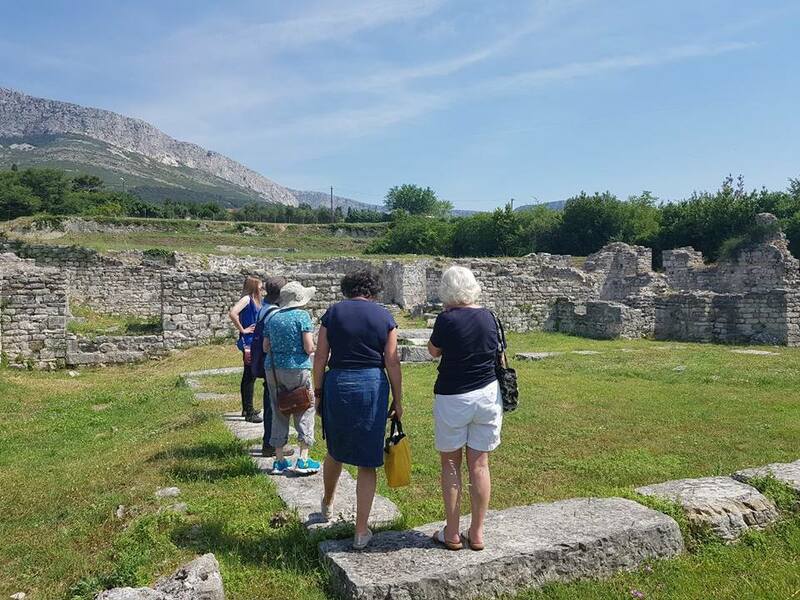 One of the many remarkable things about Salona is just how unknown it is. Gecko tour parties are often the only people there – that’s quite remarkable for a place that boasts so much! 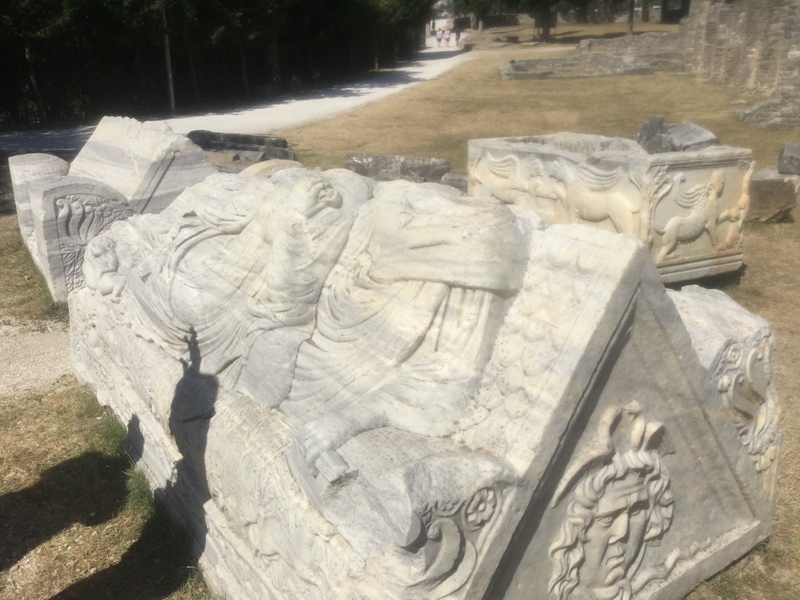 Salona abounds with Roman artifacts and provides so much proof and evidence of what everyday life (and death) in Roman cities was like. From walking around Salona you can piece together the routine of people life’s and marvel at their ingenuity – you follow the stones, worn and indented by centuries of chariot and cart wheels, observe the daily rituals of worship in pagan and then early christian times, at the baths and hot houses and for sport at the amphitheatre – there you walk where gladiators once fought and died (and in the rooms they prayed in beforehand!!) and you see where the wild lions and tigers brought from Africa were caged before being released on their hapless victims. With Gecko tours, our specialist guides make it all come alive for you and this is a must tour for those with any interest in history. Its all pretty much to yourself which makes it especially atmospheric but let’s keep that our secret…. 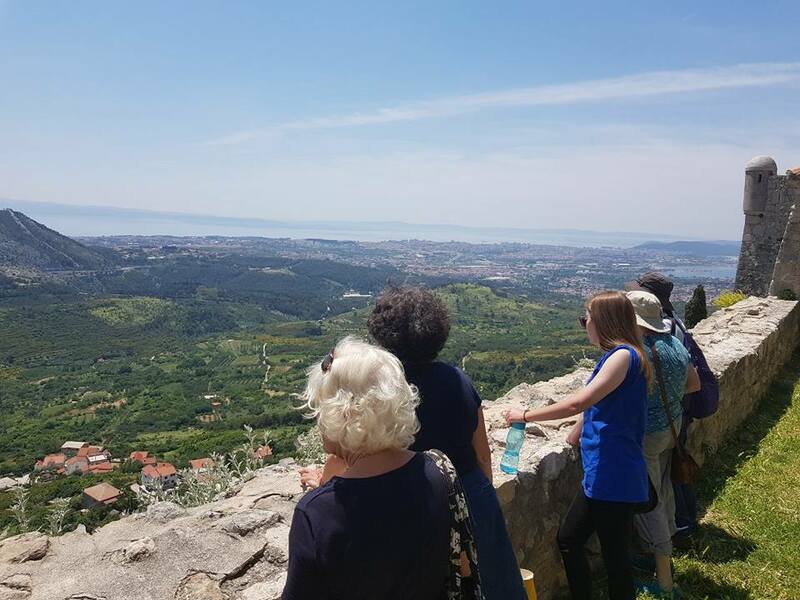 From here we travel to the village of Klis, which is home to an imposing medieval fortress, perched high on a hilltop. 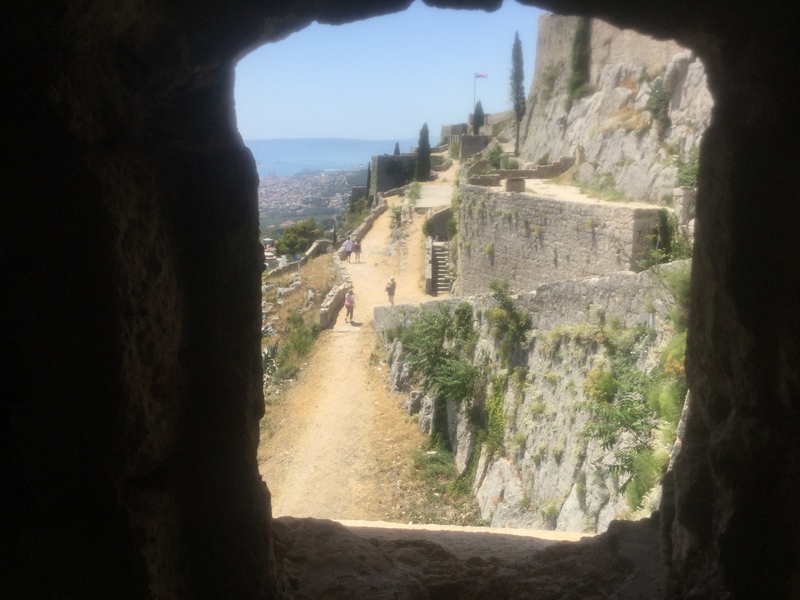 This fortress became castle to many Croatian kings and served as a defence against the Ottoman invasion during the early 16th century. More latterly, it has featured in the blockbuster television series “Game of Thrones” – Game of Thrones tour. Next, we head to Trogir, a city which has had 2300 years of cultural and architectural influence by Greeks, Romans, Venetians and Austrians. In 1997, Trogir was recognised as a UNESCO world heritage site. 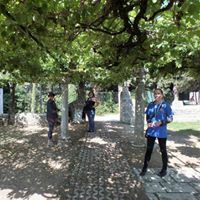 At the end of this tour, we will stop for an optional lunch in the ethno–eco village of Radošić, before heading back to Split. 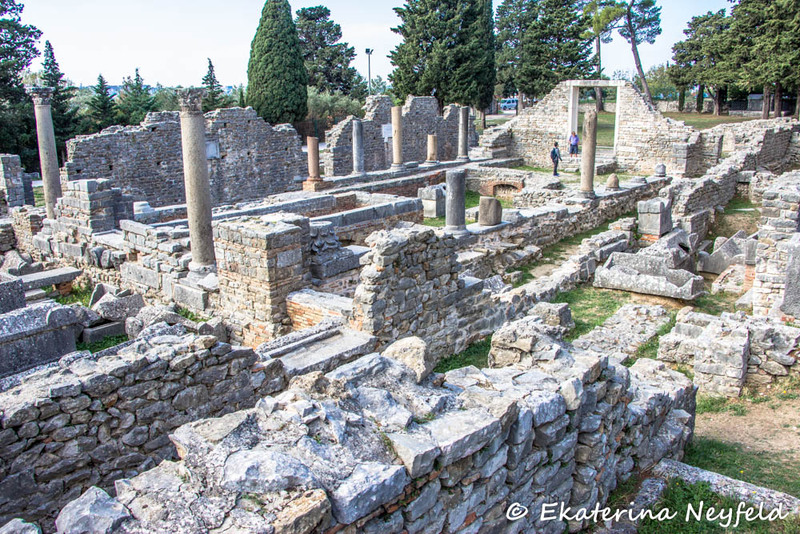 The remarkable Roman ruins of Salona are just outside Solin, a sleepy suburb just 5km northeast of Split. 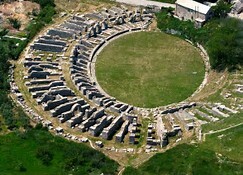 Now part of an archaeological park, the Salona ruins are extensive, testifying to the importance of this colony under Roman rule. As they are relatively unvisited, wandering this empire of ruins is an evocative journey to an era of emperors, gladiators and Christian martyrs. 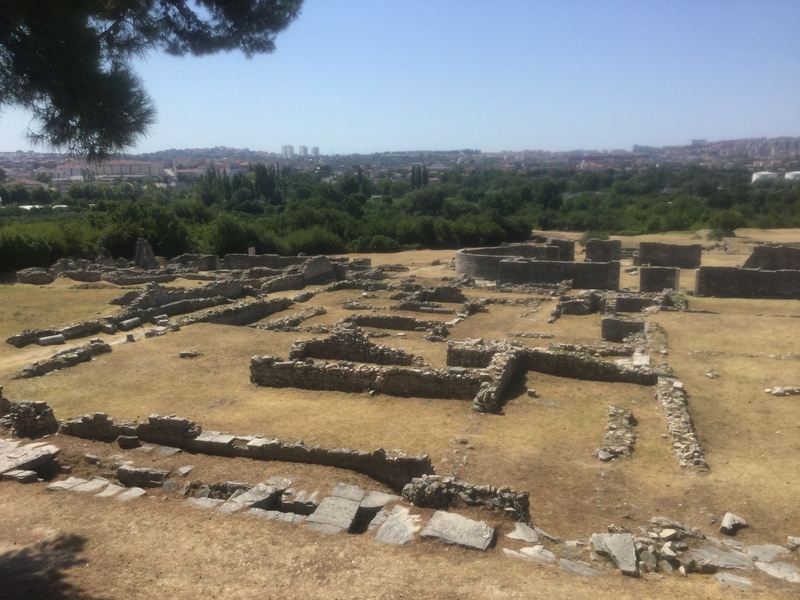 Located in the Jadro river delta, protected by mountains and surrounded by fertile fields, Salona was initially settled by the Illyrian Dalmati tribe. 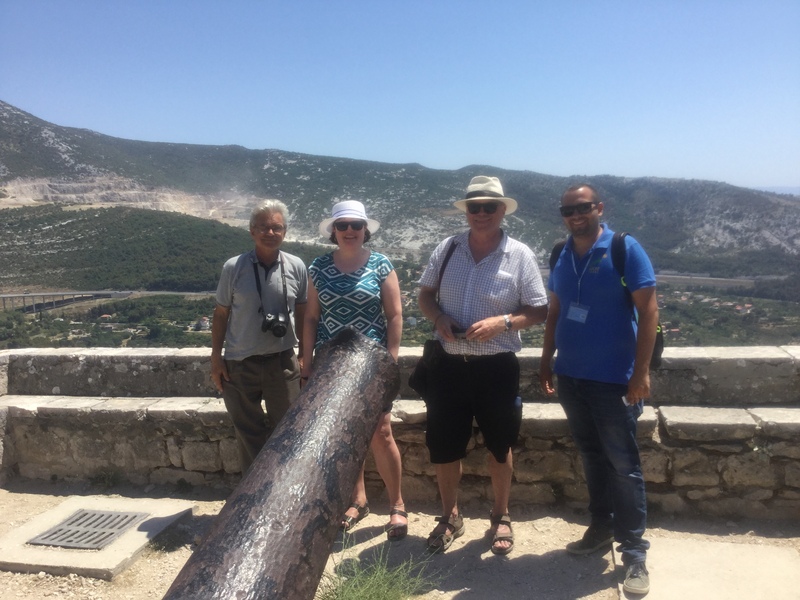 They were followed by the Greeks who had established towns nearby at Issa, now Vis island and Tragurion, now Trogir. Salona was connected to Trogir by the oldest road in Dalmatia, the Via Munita. Walls encircled the town as early as the 2nd century BC as it was considered an important military centre. 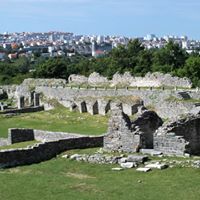 At the time, the Romans were involved in a series of campaigns to conquer Dalmatia and Salona seesawed several times between local and Roman control. Sometime between 40BC and 33BC (the exact date is uncertain) Salona became a Roman colony named Colonia Martia Ivlia Salona. Roman traders and war veterans flocked to the town and under Emperor Augustus it became the capital of the Roman province of Dalmatia. 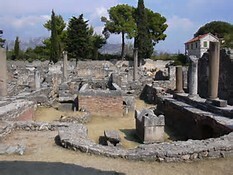 Throughout the first century AD, Salona developed rapidly. The expanded city was fortified with strong walls and towers, especially on the more vulnerable northern side. On the south-eastern side, a Forum was erected and next to it a theatre that held 3,500 people. A century later, an amphitheatre was built that held up to 17,000 spectators. At its height, the population may have reached as many as 60,000 people, making it one of the largest towns in the Roman empire!! In 284AD, Roman legions made Diocletian emperor. Born in or near Salona, Diocletian oversaw the expansion of the town, while building his magnificent palace in Split. 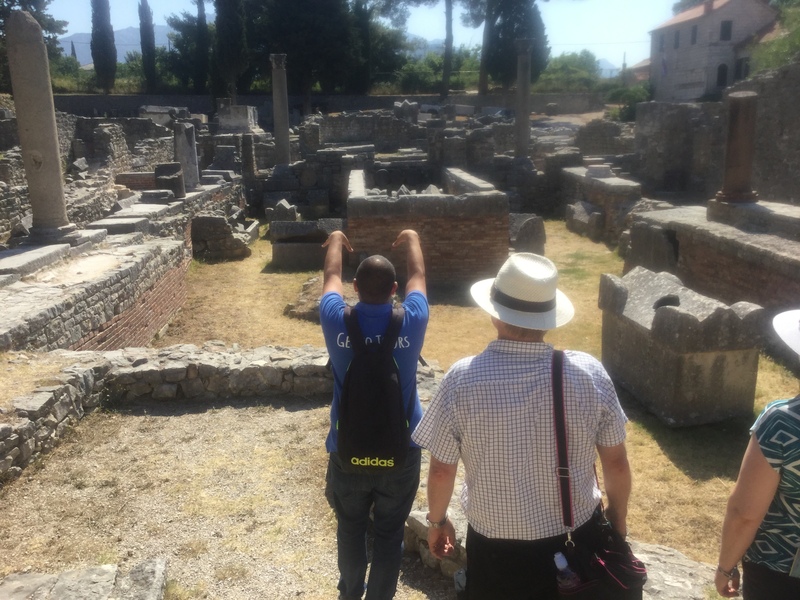 By that time, Salona was a bustling and cosmopolitan city where several oriental religions were practiced in addition to worship of the Roman gods and goddesses. Statues of Venus have been found as well as evidence that the Persian god Mithra was worshipped here. Towards the end of the century, Christianity took root. Bishop Venantius came from Rome to spread the faith, followed by Syrian-born Bishop Domnius. They were not welcome. Emperor Diocletian was an autocrat and he embarked on a ruthless persecution of the Christian community, the last and bloodiest of the Roman empire. By the middle of the 5th century the Roman empire was crumbling as Huns and Goths swept down and battled through the Roman provinces. Salona was first a part of the Eastern Roman empire but was then ceded to the Gothic king Theodoric in 493. It was returned to Rome in 535 but its days were numbered. In 614 the Slavs and Avars moved in and levelled the town to the ground. Its residents fled to the islands and to Diocletians’s palace in Split.